erceptions are sometimes illusions and appearances are not always what they seem. Our lives move within layered dimensions of hopes and dreams, private places, and hidden stories. This book is about a collective space that used to be my home. The research goes back in time in order to understand the present chaos of memory, loss, and mishap. Through interviews and gathered evidence we examine the nuances surrounding religion, community, and home. It was pertinent to use red thread as it literally and figuratively ties together the themes we are addressing. When your talking about marginalized groups on the edges such as refugees, you are dealing with the very present nature of life and death.. and the pulse that determines these facts is left up to blood shed, blood borrowed, blood lost, or blood given. This vital fluid shares a kinship with that of a tribe and a community who’s lineage can be traced back to its descendants through this very thing. We used red thread because it accurately takes the place of an unvarnished truth that we hear so much.. ‘the blood that Jesus shed for me’, for the church, for the people, for all sinners, for the world. Wherever we fall in the spectrum of religiosity, we have all heard this.. said to someone at close range, or said to us as threat or comfort. The crux is the blood.. does it really keep us breathing in and out of safe spaces? Can it bear the weight we put on others, on ourselves, and on all of us together as a collective community?" 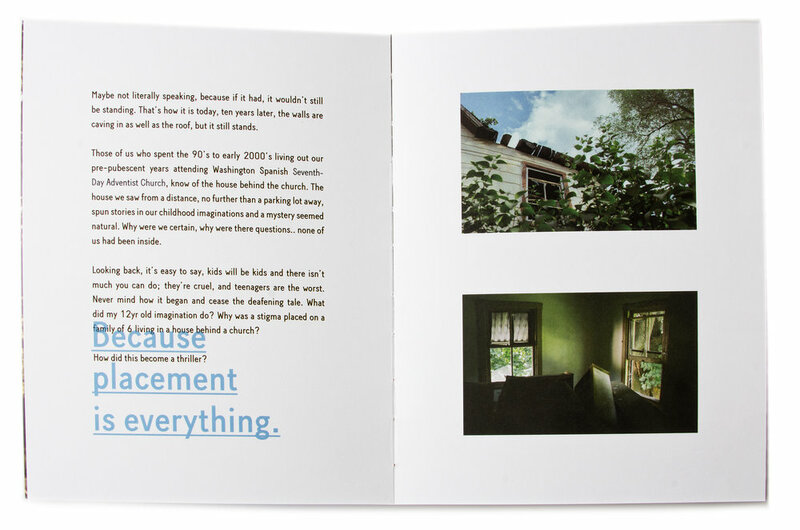 In a unique and highly designed book, Adriana Monsalve has created a unique book titled ‘I Used to Live Here’. This books high design quality is a real gem. Each page has it’s own personality, and each spread creates it’s own mini story within the larger narrative. Filled with great vibrant colors, patterns and great typography, the book allows the viewers to really dig deep inside the story and the photographs. The use of color in the book is really refreshing; it is a book that celebrates not only photography, but design and graphics. It is simple, yet affective as it really helps the story to move along, emphasis emotions and create a well-rounded narrative. 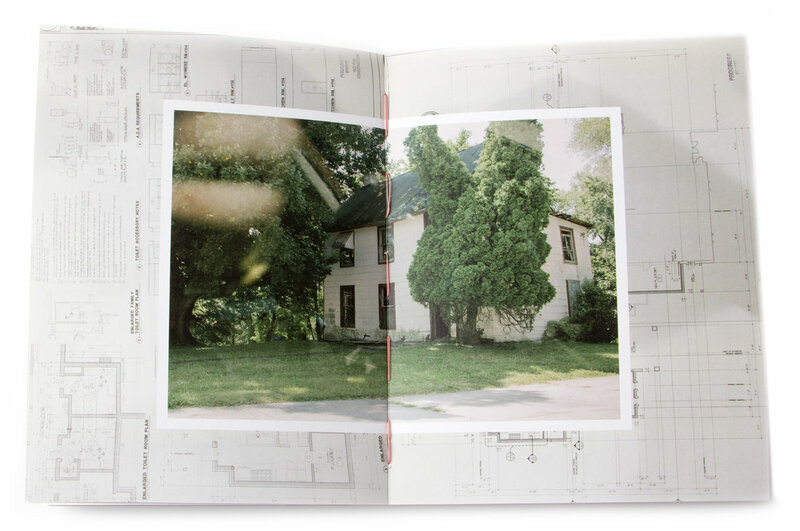 The notion of the book’s research of a place – a home is intriguing. Looking at a place that is suppose to be the most intimate place in your life- your home – but from outside. Trying to figure out memories in a visual way is truly fascinating. I liked that use of old and new – old family photos in addition to screen shots and Facebook screen grabs. he portraits in the book are a great touch. They really capture these people’s spirit and personality. The portraits are well photographed and they add a face to this search, a face to their words and feelings that are explored in the book. The Still lives are in some sense also portraits. They portray their lives, the town and the culture surrounding this books people and location.